I have been so out of touch in last 10 days. It’s been bumper to bumper non stop trip and tomorrow I head off to Srinigar, Kashmir. Then on to Gulmarg for a week of exploration skiing/snowboarding. Cannot wait! Have great faith in the team from Australia, Ski Himalaya, who I booked the tour with and our local hosts, Kashmir Powdercats. Here is an idea of a rough itinerary, but don’t worry, I will make sure to post a blog for each day of this great adventure! Hope it looks like this!! Whatever the weather rest assured – riding with the Kashmir Powdercats means you’ll make the most of the incredible snow riding on offer during your short stay in Gulmarg. When you sign on with Kashmir Powdercats, you enjoy the benefits of our local mountain knowledge plus protection against disappointment if a Himalayan snowstorm closes the upper gondola for part of your visit. If this happens you have private transport to and from the all-weather terrain below Gulmarg. This area has a huge number of descents through widely-spaced trees which are perfect for riding in bad weather. Who knows what the weather will be like during your stay in Gulmarg. The following is a fictional week to show you how our full-time Mountain Companion Programme adapts to give you the best possible riding experience no-matter what weather you hit – sun, snow or blizzard. Sunday: Met at Srinagar Airport and transfer to Gulmarg. Evening welcome from Kashmir Powdercats. Distribution of avalanche beacons. Monday – Clear weather: Morning practice session with avalanche beacons. Warm up runs and orientation on lower gondola. Later, ascend gondola and see views from the top of Mt Apharwat. Option to ski/board down, or to ride the gondola back down to Gulmarg. At lunch or at the end of the day your Mountain Host makes sure you know the best way down from the mountain to your hotel – to make sure you enjoy the full benefits of your hotel’s ski-in ski-out location. Tuesday – Snowing: Stage Two of gondola is closed. Our transport meets you at your hotel door and shuttles you to the top of the forested runs to Tangmarg. Repeated descents – over three kilometers in length – in this enchanting area. Advanced groups progress to steeper forested runs to Baba Reshi. Our road transport is co- ordinated by two-way radio and mobile phone so we can minimise, or eliminate, any waiting time before returning you to Gulmarg for your next run. Wednesday – Snowing Again: Stage Two of gondola closed again. Repeat Tuesday! Expert groups might also ride from gondola mid-station, past Monkey Hill, to the valley floor. Later in the day our ‘cruiser’ group elects to return with their Mountain Host to the forested runs under Stage One of the gondola and our nearby hotels. Thursday – Clear Weather: Opening of Stage Two of the gondola is delayed until after lunch while the ski patrol monitors avalanche risks and undertakes safety steps. Some guests opt for early descents through the forested slopes to the Baba Reshi shrine, where the views take on a new beauty in the clearer weather. Others are happy to spend the first part of the day scouting the runs under Stage One of the gondola with their Mountain Host. After lunch at our nearby hotels, the afternoon is spent riding the gondola to the top station at 3980 metres and plundering the safer aspects of Mt Apharwat’s Stage Two slopes. Friday – Sunshine again: Most guests will wish to head for the gondola! Some guests may wish to participate in the ‘north-western’ descents which involve the walk to Mt Apharwat’s summit. This may include direct descents to points further along the golf course, from where our vehicles return you to the gondola base. Full ‘south-eastern’ descents from Mt Apharwat to the Tangmarg Valley floor are long and serious challenges, and by necessity are restricted to guests with the requisite skill, fitness and aptitude. Saturday – Snowing lightly: Visibility is average, with snow expected to increase over the next three days. Some of our guests participate in further exploration of the Stage Two descents closer to the gondola. Some guests participate in a group which cruises the sheltered slopes under Stage One of the gondola, staying conveniently close to our hotels. Other guests participate in groups preferring the better visibility combined with steeper terrain of forested descents to the Baba Reshi Road. We all know how much I love India. I’m currently in Madurai visiting with Red Hands Org partner, microfinancing company, Madura Micro-financing Ltd. This event, Australia’s Biggest Bollywood Bash, will benefit the wonderful work done here in Madurai, India. Imagine a night on the town filled with movie songs, an auction, fun filled raffles dancers and prizes. You will enjoy the colourful Bollywood dancers, heart thumping music, mystical Tarot readers and plenty more…For one night in February, experience all this and more at Australia’s Biggest Bollywood Bash. Add to this a 3 course sit down delectable Indian dinner with plenty of wine! We’re rolling out the red carpet…and you and your guests are invited to attend. Dress to impress as there will be plenty of glitter and Bollywood glamour! All proceeds go to help RedHands (www.red-hands.org) whose mission is to empower women living in poverty in developing countries. Call 0425 235 307 now or book immediately by scrolling down the page to click the “Click Here to Book Now” button, and we’ll have yours waiting at the door for you when you arrive! Australia’s Biggest Bollywood Bash is happening Friday, February 24. 2012…just two days before Oscar night…making this the perfect event to get into the Academy Awards spirit. A small number of tables of ten are also available. We recommend calling now if you’re thinking of reserving one. For more information, or to reserve those tickets to this very special night, call us now at 0425 235 307. P.S. Come kick off the Oscar season in style (and help a great cause to boot). We promise you a night to remember. Hope to see you there. A wonderful event is happening in Melbourne next week at the R2. Make sure to get on down and check it out. COB Folly is a new after work live music series located in the heart of Melbourne’s CBD. The r2 at 60 Market St is the venue and this event marks the launch of this weekly ‘after work’ original live music showcase. $22 = Bucket of 4 beers… tasty food… free stuff cos it’s our launch and all that. Travel Enthusiasts!! If you are interested in Travel you must get to this. Global and local info. Australia’s ONLY Adventure Travel Expo targetting adventure travellers, backpackers, students and more. Entry to the expo is FREE for visitors. The expos have been running annually since 1995 and are held in Sydney, Melbourne, Brisbane and Auckland. 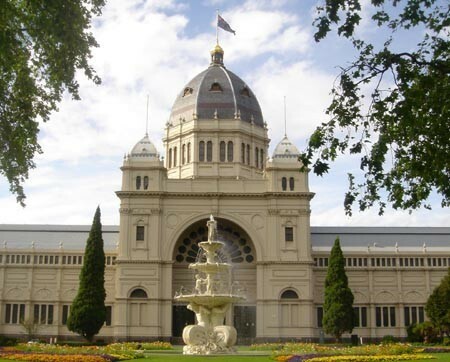 Entry is free….the expo to be held at the Royal Exhibition Building in Carlton, great exhibitors (click here for list)…great informative travel talks (click here for list) and great specials and prizes. Great Specials and Prizes – including a Return Flight to the UK!! FREE BBQ daily from 1pm (while stocks last). There is no better way to go than talking to the experts before planning the trip of a lifetime. Our exhibitors come from all over the world and are there to give you the low-down on all that’s happening out there. The expo series has been running annually since 1995 and is sponsored by Hostelworld.com and Places We Go. Darwin is the summer destination of 2012! We are loving the Vibe of this place, so why not stay at the Vibe and experience it for yourself! Spectacular light shows, courtesy of Mother Nature, come to Darwin for the Wet Season. Roll up and take your front row seat to all the drama as you watch a storm roll in from Vibe Hotel on the Waterfront. Celebrate the season with Vibe’s ‘lightning’ cocktail and keep dry with your complimentary Vibe umbrella. Once the show’s over, you’ll quickly slip back into soaking up the tropical sunshine of Darwin. *One complimentary umbrella per booking. Two buffet breakfasts per package and two lighting cocktails per package. Subject to availability and excluding peak periods. Selected room types only. Close your eyes and slip away… You’re staying in a stylish hotel, sipping a glass of sparkling and relishing alfresco dining in between spa appointments. Sound like a well-deserved treat? Vibe’s pamper package will let you soak up the very best that Darwin has to offer from the hottest address in town, Vibe Hotel Darwin Waterfront. In the Top End, weekends are for chilling out! That means winding down and syncing up with the relaxed Darwin pace. Even true city slickers will find themselves switching off their smartphones with this package from Vibe which includes great food, sleep-ins, swimming and a trip to the movies. Holiday dreamtime is sacred to all travellers. Close your eyes and slip away… You’re staying in a stylish hotel, sipping cocktails by the hotel pool, relishing swanky alfresco dining options and swish bars and browsing stylish boutiques at a refreshingly slow pace in between spa appointments. Soak up the very best that Darwin has to offer from the hottest address in town, Vibe Hotel Darwin Waterfront, where holiday dreams become a reality. Sleep comes easily in Vibe’s contemporary guest rooms and you’ll pinch yourself to make sure you’re not still dreaming at curve cafe + bar as you indulge in breakfast, lunch, dinner and drinks overlooking the buzzing Waterfront precinct. The hotel’s local vibe featuring Indigenous artworks dotted throughout will spark tomorrow’s holiday dream – exploring the breathtaking natural wonders and fascinating culture of the Northern Territory from this convenient gateway. Good food and good conversation go hand in hand. It’s not complicated! For vibe-rant dining, head to curve cafe + bar @ Vibe Hotels across Sydney, Melbourne, the Gold Coast and Darwin. curve’s fresh and simple menus cater to your tastes with plates and glasses brimming with the flavours of Australia. Pop in for satisfying breakfasts, cheeky late night snacks and everything in between, or treat yourself to a tipple from curve bar’s tempting selection of drinks. Bring good times to life @ curve.